Ghanaian music legend, Kojo Antwi, has tasked young and upcoming musicians to see music as a tool rather than a product. According to the music maestro, a lot of young people venture into music because of the money and fame it brings, which in turn results in poor output. “I hear a lot of music right now and the only thing I hear, lyric wise, is shake your booty, make your body and baby you are that and this and all that. To us Africans, music means more to us than these things,” he told NEWS-ONE. The ‘Densu’ hit maker explained that for a country, which is being confronted with Ebola and Cholera, it is only wise that music is used to uplift people. “We are confronted with Ebola, so much filth here in Accra and we are dying because of Cholera; so we cannot sing about shaking your booty all the time. We must use music as a tool to uplift people. The young ones need to see music as a tool and not a product,” he said. Kojo Antwi, who was unveiled as the recipient of the 2014 edition of the annual Legends & Legacy Ball, stated that he never set out to be a legend but to churn out great music that will last for eternity. “If you sow the right seed then you will rip the right fruit; but if you go cashing money from the beginning, a lot of things will elude you. I never set out there to become a legend. I just came out to do great music, music that my grandson will listen to in 10yrs time and say oh granddad you did very well on that song,” he added. 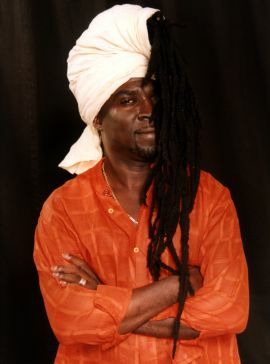 Kojo Antwi has over the years produced some timeless hit songs which have won him various awards both internationally and locally.